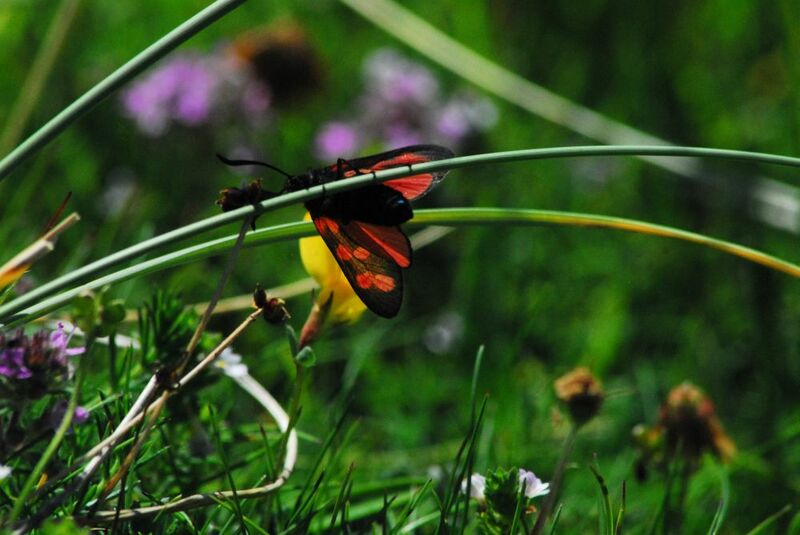 The third guest picture from Keith Wood, a Six Spotted Burnet Moth in the machair at Saligo. Taken during Keith’s Islay holiday in June 2014, where it entranced him and his wife while they sat overlooking Saligo Bay. This entry was posted in Guest Picture, Landscape, New Post, Sunny Weather, Wildlife and tagged Islay, Saligo, Six Spotted Burnet Moth by Armin Grewe. Bookmark the permalink.